This page provides visa information for UK Citizens wanting to travel to Belarus. Visa Free Period: 30 days Citizens of the United Kingdom are allowed to enter Belarus for 30 days without requiring a visa. Please check the document requirements at the bottom of the page. Processing Time: : 11 business days The processing time is how long the visa would usually take to be obtained from the point at which we have received all the required documents to process your order. It does not include the time needed to post your document(s) to us or for them to be returned to you. Citizens of United Kingdom can enter Belarus visa free for up to 30 Days. You only need to purchase a visa if you intend to travel to Belarus for longer than 30 Days. British Citizens can visit Belarus visa free for 30 days when entering through the Minsk National Airport. You must be able to provide an ordinary passport, which must be valid for at least 90 days beyond the intended date of departure, sufficient funds of at least £20 per day of visit and medical insurance valid for the whole duration of the stay. This visa free regime does not apply to people arriving to Belarus by place from Russia and planning to go to the airports of Russia. Visitors to Belarus are required to register at the local Citizenship and Migration Office of the Ministry of Interior of Belarus within 5 business days. There, the local police authorities will issue a registration stamp, which will be attached to your passport. If you are staying in a hotel, this should be arranged by the hotel services. Liaison with the Belarus Embassy in London for any queries and attendance where required. No more wasted time for you on the phone or in line at the Embassy. Collection, Check, Scan & Dispatch of your completed Belarus Visa. Let us make sure everything is as expected for worry-free travel. Whilst Vital Consular is not affiliated with the Belorussian government, we have been working with the London Embassy network since 2008. You don't have to put up with unanswered calls and long queues - we do that for you. For this, our prices include a service fee to handle your Belarus visa. 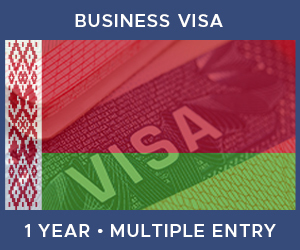 In order to apply for a Belarus Business Visa you will need to supply a number of items. Click on any of the icons below to learn more about each one. A Health Insurance Certificate to prove you have Health Insurance to cover the duration of your trip.